Before we start this post: We, as a firm, DO NOT condone or advise this sort of digital snooping. Nor are we in any position to educate you about the legality of wiretapping, spying, car tracking or similar activities. This, like all of our blog posts, is intended for informational purposes only and SHOULD NOT be interpreted as a “how to” guide. Tablets, smartphones, laptops. Facebook, Twitter, Snapchat. Paranoia and spying are nothing new in relationships and marriages. But the tools have certainly changed. 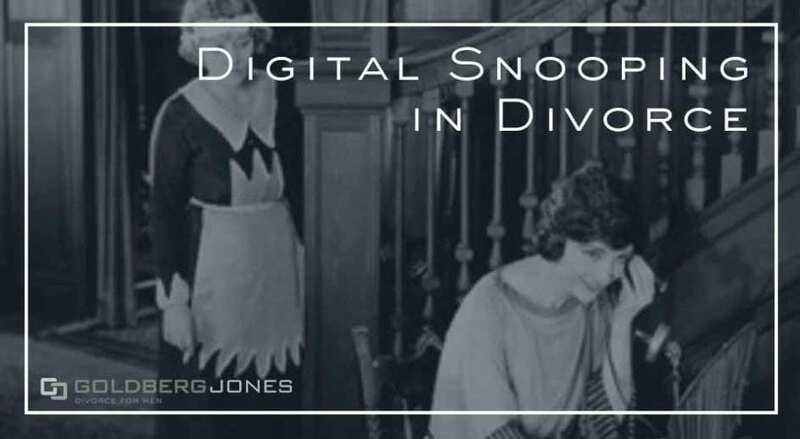 Such digital snooping continues to have an ever-growing impact on divorce and the aftermath. There’s no need to hire a private investigator to tail your spouse. Or to snap incriminating photos of where a person has been. Cars and phones come equipped with GPS trackers that do the legwork. External tools are also cheap and easy to come by. You can purchase a small, easy-to-hide GPS device for a few dollars on Amazon. It’s possible to install subscription-based spyware on a phone or computer. These more invasive measures let a person see all incoming and outgoing messages. Some even log every keystroke. A recent article from NPR looks into such digital snooping and how it manifests in divorce. The writers recount the case of a woman known only as ‘M’ for privacy’s sake. Over time, she became paranoid that her ex-husband was following her. To the point where she would leave town to stay with friends and drastically change her route home from work. Low and behold, when she took her car into the shop, the mechanic found a hidden GPS device. Her ex had been tracking her movements for weeks. M and her husband had already been divorced for a year at this point. But in many divorces, couples turn to similar means to scrape up information to use in court. It’s not uncommon for spouses to mine each other’s social media and email accounts. Private messages can reveal infidelities. If you post endless pictures of drinking, drugs, or partying, your spouse may use it as evidence against your parenting abilities in child custody cases. If you flaunt expensive vacations but claim you can’t pay child support, that reflects poorly on you. A lot of this exists in a legal grey area. Many divorce laws are rooted in old precedents. Things that occurred at a time when smart-phones, GPS, and social media were the stuff of science fiction. It can be difficult and frustrating to apply these statutes to the current technological landscape. The law is notorious for lagging behind the curve in this regard. And technology continues to outpace the ability to regulate it. Going back to the NPR article, M reported her ex to the police and filed charges. He even admitted to placing the tracker on her car. But there was no way to prosecute. The car was still jointly owned, and as such, it was ruled he had the right to track its whereabouts. Even things like spyware on a smartphone can be difficult to prove. The article notes that people often simply replace a device entirely. That fixes the privacy issue. But swapping out a phone also means they lack that key piece of evidence later on. At work, an employer can do things like track an employee’s internet use. Parents can also follow minor children’s online activity and trace their movements. As far as spouses spying on spouses, things become murky. Unless there’s concrete evidence, all of this often proves difficult for authorities to verify. There are cases where spouses have received jail time for digital spying. But such convictions, as the report notes, are also far between. If there are criminal charges, these most often fall into the same category as illegal wiretapping. Where things can get hazy, like with M and her car, is in cases of shared property. It may be difficult to discern who installed spyware on a shared home computer. Or who placed a tracking device on a car both parties use. Is it illegal to tap your own phone? Police often decline to investigate. In divorce cases, this evidence can place lawyers in a tough position. On one hand, attorneys want to use every tool they can to support their clients. On the other, dubiously obtained evidence presents a dicey moral proposition. A lack of clear statutes and boundaries in many states creates a grey area. At best digital snooping is ethically murky. At worst, illegal. It’s a tempting proposition, but one with potential consequences. Much of the law is based on tradition, on what’s come before. But technology sprints ahead. In many cases, it grows and evolves much too fast to regulate and oversee. It’s a changing landscape. The law finds itself in a constant game of catch-up. And as things move forward, that looks to continue. If you have questios about your case, contact Goldberg Jones at our Seattle office.